Ordering a set of custom seats for your SxS is a big commitment and picking the right colors to match your UTV can sometimes be overwhelming. With so many color options to choose from, narrowing down the right color can be nerve wrecking. At Side By Side Stuff, we want you to feel confident about your purchase, that’s why we’re excited to introduce our Simpson Performance Products Integrated Seat Builder. 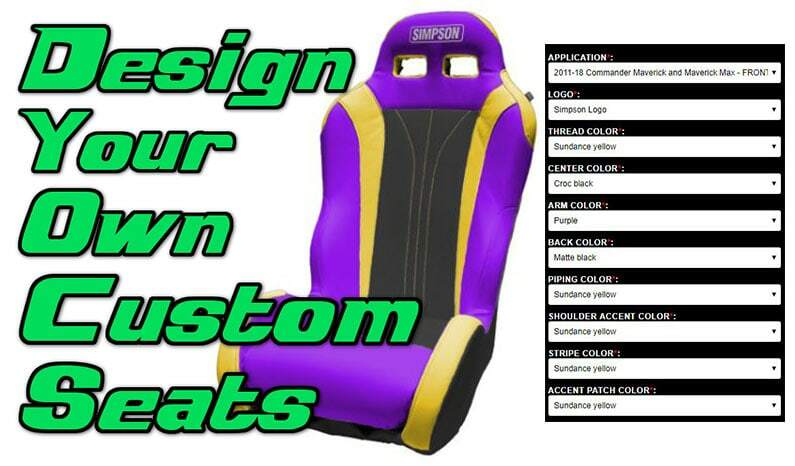 Now when choosing your color options for your custom Simpson Seats, the selected color is applied to the product image on the screen. As you design a mockup of your new seats you’ll get an immediate visual rendering, being able to see the colors applied right to the seat will help you get an idea of exactly what you want before you decide to make the purchase. With a wide variety of color options, you’ll be able to design a draft of your new seats the way you want. 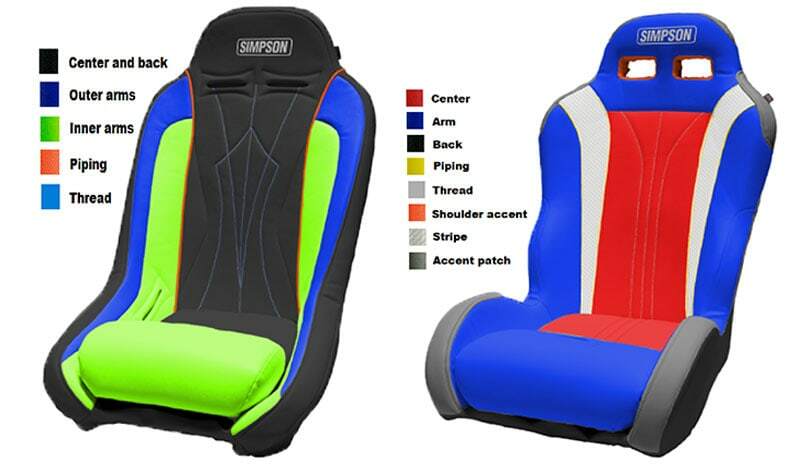 Picking the right colors to match your side by side has never been easier; your new Simpson custom seats will give your machine a new, stylish look and custom feel. Furthermore, when customizing your seats, there are several optional features that can be added, like seat heaters, lumbar, hydration pack pockets, front and rear pockets and some seats even allow you to add additional seat width. Simpson Performance Products has a long history in manufacturing safety products for racing; to no surprise they construct their UTV seats using racing technology. Handcrafted in the United States, Simpson focuses on safety and quality without sacrificing comfort, rest assured a set Simpson Custom Seats will last for years to come. At Side By Side Stuff, we offer a variety of customizable Simpson UTV seats with fitment available for a wide variety of machines, including the Arctic Cat Wildcat, Can Am Maverick, Maverick X3, Polaris RZR, Polaris ACE and Yamaha YXZ 1000R. Visit our Simpson Performance Products brand page, choose a frame style and start designing your own seats today.